Hello, good people of snuffhouse! I am currently wroking for a company importing tobacco products. Although our company is not big, we are trying to inroduce snuff to our domestic market. Meaning that I am looking for products that are easy to take and will apeal to those who are not familiar to snuff taking. Would you guys, as expert snuff takers with many years of experience, have any recommandations? Is there any products you have in mind that must be included in our list up to spread good word about snuff and increase the number of users? Just FYI, Korean market for snuff is next to not-exsitant and if we were to import snuff, it would be the first time in few year it is imported through a company. There are so many different types and flavors that some are partial to and others not it's a hard question to answer. I suppose a mix of traditional English, German and Indian snuffs. The English have toasts, floral, medicated, sps etc. German schmalzlers, ect. Indian blacks, whites, madras and that is just the tip of the iceberg. .
Have you thought about testing a few varieties with the South Korean people and seeing what they would prefer or even getting a snuff manufacturer to make some that your target market might like carrying your own brand label? As a matter of fact, we are in contact with some of the snuff manufacturers as they are the suppliers of other types of tobacco products. But to create and carry our own brand label would require quite a large number of order and the fact is, our company is not big enough and the market is not big enoug... So, We would have to settle for existing products that users like. As for types of snuff Korean people would like... Small amount of mentholated snuffs from Poeschl has been introduced by our company a little while ago and have gotten somewhat positive reactions. Thus, we are trying to import more types of snuff products and are all ears in hearing the suggestions. Anyhow, it will be wonderful to hear opinions from snuff lovers on this subject and thank you once again for sharing your insight! Cant go wrong with german snuffs. They are the easiest to take and theyre what drove a lot of us people here. We are manufacture of Dholakia Nasal Snuff from India we would love to export to your country. Kindly email me your requirements on exports@snuff.co.in for more details. If you're a small company, and the market is even smaller, I'd be focusing on a small selection of snuffs. I don't know what the S. Korean market is like, would they have a bias towards certain regions? Do you think they would choose an Indian snuff over a European snuff or an American snuff over an Indian snuff? Do they tend to go for certain flavours? What are the most popular fruits people buy to eat, what flavours do they like? If I only had a limited budget, I's start with a couple of flavours/top sellers from the main manufacturers for each geographical region. Then see what sells. You can't go wrong with Poschl. Good nicotine, easy to take, attractive and handy boxes. @JackGrave F&T's can be pretty intense. Old Paris, French Carotte (?) and IHT, might be all day snuffs but all the others I've tried were pretty intense taste wise. I love the Princes but I'd only have that occasionally, it really clears out my nose. It really does answer many questions I had in mind and at the same time gives me a lot to think about. How much of an acquired taste would menthol be in Korea: a key question if considering some of the brands such as Poschl. 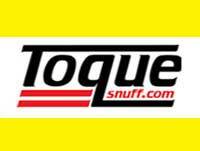 Toque might be a good choice as a starting point. You have variety, consistency, high average nicotine, and lower costs. I have to give credence to SammyD. Toque was started by a guy giving up smoking and though I've only tried a couple they do taste like a bridge between smoking and snuffing, good nic uptake and tobacco taste. He might be someone to talk to. What's hot in your market? Spicy foods - then there's Bohica from FUBAR. Citrus barbeque - Toque's Lime Toast. Citrus - Toque Grapefruit. Chocolate - Dholakia Swiss Chocolate. Florals - Toque Violet and Lavender, WoS Wall ... what do people in the market otherwise enjoy for aromas? As for the general preferance of Korean consumers, there really isn't that much of market research on what kind of scent and flavor they prefer I have on hand. As for the tobacco product preferance, Korean market is pretty much dominated by cigarettes and e cigarettes. There are handful of people who smoke pipe tobacco or rolling tobacco or cigars, but it is not widely sought. Koreans do usually prefer tobacco products that are light on nicotine, which can be seen on the dominace of light and mild cigarettes with 0.1mg nicotine content. Although we do eat crazy spicy food in general I am not certain whether people will enjoy the idea of spicy snuff to be honest. As a smoker myself, I have only tried mentholated snuffs. Personally menthol really was the key factor that made me feel like taking tobacco product because I couldn't really feel the nicotine comming up. Which might be why I was hit pretty hard after lol. 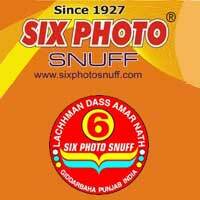 @ladin Six Photo snuffs are low in price but top quality. The menthol isn't too heavy in snuffs like Anarkali or Kailash and they are not too spicy either so they might both have a broad appeal. Both are black snuffs so they can get messy but the Super Kailash is a golden snuff and just excellent. What are the popular local liquors? Try to find something that matches those, that pairs well with those. That's the most obvious way to do it. We would be very much interested to introduce our products to Korea . Please drop us a email at info@sixphotosnuff.com to know more.